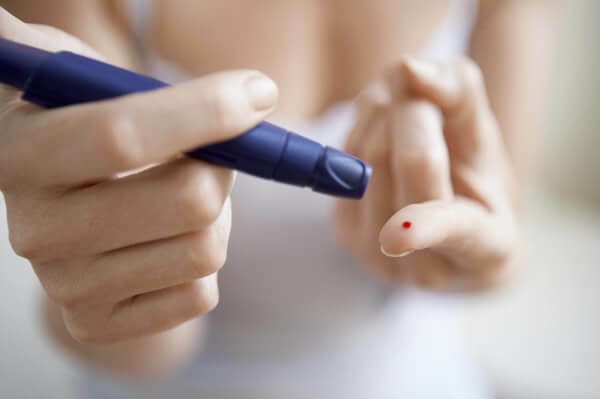 Diabetes is a long-term (sometimes lifelong) metabolic disease that occurs when the pancreas does not produce enough or any insulin, or when the body does not use insulin correctly. Insulin helps balance the amount of sugar, or glucose, in the blood. Maintaining this balance is critical for promoting proper organ function and overall health. 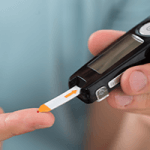 Diabetes is divided into two primary types: type 1, an autoimmune disorder which usually occurs in childhood, and type 2, which usually occurs in adults who are obese or have other metabolic disorders. A less common third “type” is gestational diabetes, which occurs in some women who are pregnant. The most common risk factors for diabetes include a family history of the disease, being overweight or obese, having a sedentary lifestyle, and having high blood pressure or high cholesterol. Diabetes is usually diagnosed with blood tests and urine tests to look for elevated levels of glucose and other markers. Without proper and ongoing care, diabetes can cause kidney failure, nerve and circulatory problems, slow-to-heal sores that can lead to infection and amputation, vision loss, hearing loss and even an increased risk for Alzheimer’s disease. Treatment for diabetes is an ongoing process that requires a continual commitment by the patient to monitor blood glucose levels using finger stick tests, and to help keep glucose under control with medication and lifestyle changes. Managing diabetes is important for maintaining overall health. Studies have shown people with diabetes are at a greater risk for developing other serious medical conditions, including heart disease, kidney damage, vision loss, circulation problems, skin issues like slow-to-heal sores, nerve damage and hearing loss. Some studies have even suggested a link between diabetes and Alzheimer’s disease.